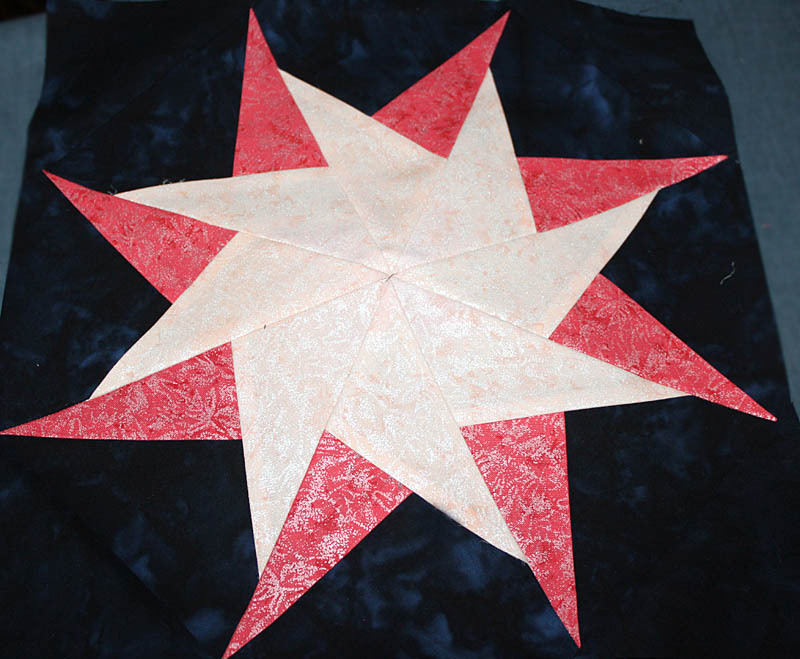 Star #3 is finished. Finally. It would have been done days ago, but anything I could possibly mess up, I did mess up. Had to go back to the quilt shop and buy more fabric to finish the inner section. But it's not all bad - I actually like the light fabric better than the original.